Travel Theme:Night | So where's the snow? Hand around the moon. Strange nights in Austria! Categories: Austria, Travel Challenge | Tags: Austria, postaday, The Daily post, Travel Challenge;Night | Permalink. 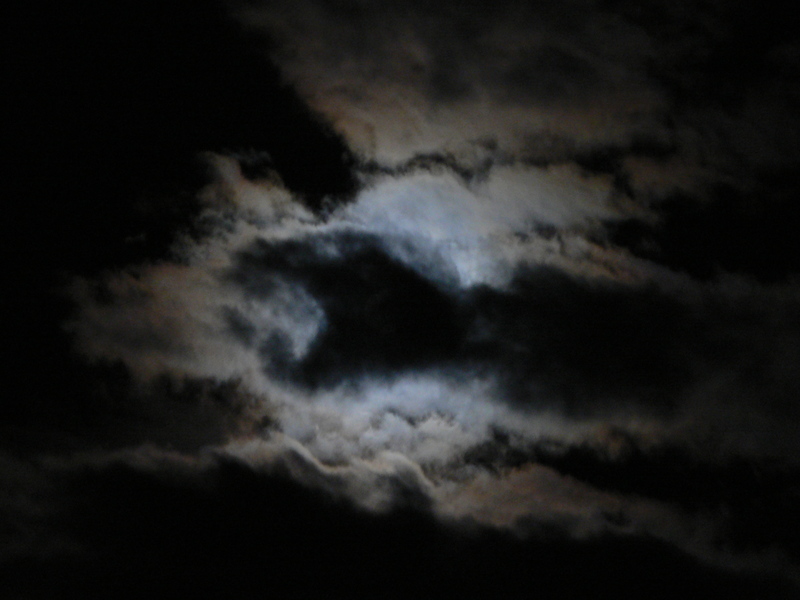 I love those sorts of nights when the moon plays chase with the clouds! Me too, then I spend ages trying to take photos and dont suceed! Ooh, cool, Anna, that does look like some spooky entity has just grabbed the moon – or maybe a snake devouring it. Gulp. That’s quite scary but if you turn it right angles it looks like a woman raising her arms! Hey, you’re so right, never thought to look the other way!